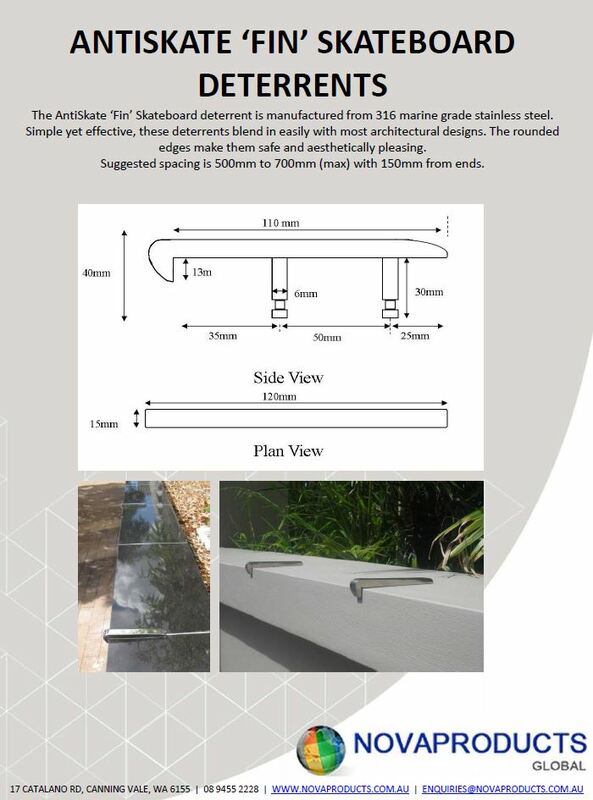 Novaproducts Anti-Skate profiles are designed to offer the best solution to your Landscape needs. The Novaproducts Anti-Skate range are perfectly suited for installation in all commercial buildings, Streetscapes, external public areas to protect the product from public vandalism. Anti-Skate stainless steel Discs are a weather resistant rounded profile which makes them safe and discrete with minimal impact. The disc is manufactured from marine grade stainless steel to ensure the maximum durability of the product. 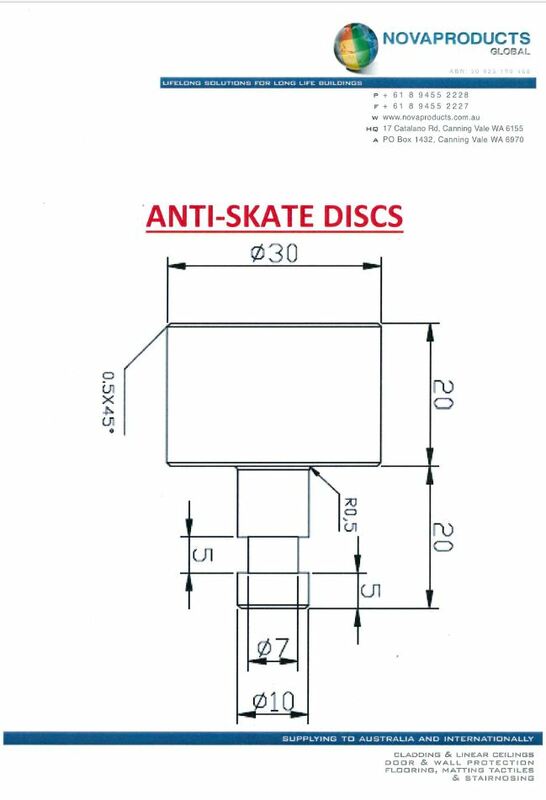 Anti-Skate Stainless Steel Custom has a low profile design which is custom designed to suit the desired height and width for the area of concern. The Anti-Skate Stainless Steel Custom is 5-6mm thick.